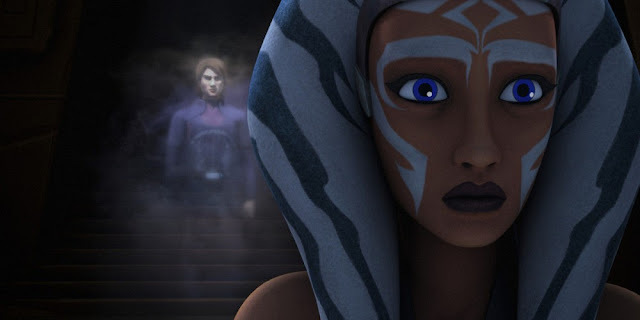 Opinion: Where Will We See Ahsoka Next? On the latest installment of The Star Wars Underworld the hosts gave a recap of the first day at Star Wars: Celebration Europe 2016. The first major panel of the day was the Ahsoka 'Untold Stories' panel. This panel delved into the backstory of the character, as well as the untold stories concerning Ahsoka during the period of The Clone Wars. The biggest reveal of the panel wasn't actually about Ahsoka's past tales, but rather Dave Filoni's shock admission: Ahsoka survived the confrontation with Darth Vader in the Season Two finale of Star Wars: Rebels. Filoni's all but outright confirmation of Ahsoka's return has struck a chord among fans and stimulated extensive interest and debate among Star Wars fans. The 'Ahsoka' panel obtained 160,000 views on the Star Wars YouTube channel, over three times the number of views that the Rebels: Season 3 panel received. 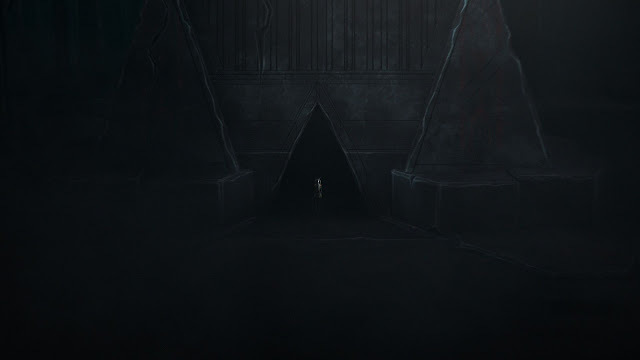 The central debate seems to centre on the manner and medium in which we will see Ahsoka again. I believe there are three principal mediums in which Lucasfilm and Disney will tell the next chapter of Ahsoka's story. This will either be in novel format; as a TV spin off series or as a stand alone movie. Personally, I surmise that we will see Ahsoka return to our TV screens on an animated series. We already know that there is an Ahsoka post-Order 66 novel which is in the pipeline and scheduled for release this October, which is exciting news in itself, however this is not the comeback that Dave Filoni seemed to refer too in this panel. In his closing remarks Filoni told us that Ahsoka will return and also stated that Ahsoka wouldn't make a comeback in Rebels. Yet why did he need to stress the fact that she won't be back in Rebels? It is important to remember that Ahsoka is a character whom Filoni has invested alot of time in. She represents a significant and, arguably, lasting relic of George Lucas' Star Wars Universe. Filoni was one to tell us that Ahsoka is back, which makes me think that Filoni has his hands all over the next stage of Ahsoka's journey and would explain why it was Filoni who confirmed the character's return and not Lucasfilm Story Group members, Kiri Hart or Pablo Hidalgo. If Filoni was to be the man to usher in Ahsoka's reintroduction, then the question of where and when we will see Ahsoka next becomes a bit more clearer. A Rebels return could well be in the offing, particularly if Rebels has a fourth season, which is certainly not out of the realms of possibility and neither Lucasfilm nor Disney have made any suggestions about the fact that Season 3 is the final season of the series (albeit they also haven't refuted the rumors that Season 3 would be the last, when reports were made back in May). So where and when will we see Ahsoka next? Here are my concluding thoughts. In Star Wars: Rebels or a future animated TV series that Filoni would be heading, or at least working on. The in-universe time period would likely be in the era of Rebels and most definitely before A New Hope commences. I think we will hear little more about Ahsoka reappearance this year because attention will want to be directed towards the upcoming 'Ahsoka' novel release this year, Next year, after Rebels Season 3 concludes, Rogue One has been released in movie theatres and the E.K. 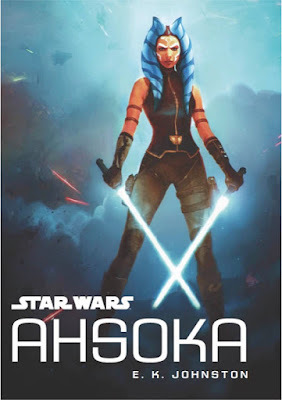 Johnston 'Ahsoka' novel has been published, I believe we will see her back on our TV screens. It remains to be seen whether my predictions come to fruition and I wouldn't pretend to know what will happen exactly in the future. As a wise Jedi master once said "Always in motion is the future and many possible futures there are." I finish my piece by citing Filoni's final message in the Ahsoka panel. The revelation that got as Clone Wars fans on their feet, whistling, cheering and applauding. You have heard my thoughts, now feel free to leave a comment below telling us when you think we will see Ahsoka next, in which medium her re-appearance will be presented and where in the future. Suffice to say, I believe Ahsoka's body has been destroyed. I agree that Ahsoka's story will be continued, likely in the form of a tv show. Before that, however, I think they're going to release a movie based on the arcs from the panel. Let's start at the beginning; do they even plan on releasing the stories? Yes Absolutely. The ahsoka stories are far too important to the Star Wars Canon for them to never be released; having been referenced multiple times in Rebels, telling extremely important stories (What happened to Rex during order 66? What happened when Ahsoka met Anakin again? Ahsoka fought MAUL?! What's the Siege of Mandalore? etc. ), being viewed as canon by the writers, and Dave Filoni saying multiple times that he wants to tell those stories. Combined with the fact that Disney could definitely make a lot of money off of these stories about an incredibly popular character, and it's obvious they will eventually be released in some format. The question is, which one? Considering the fact that these arcs are perhaps far more important than the Darth Maul and Ventress ones that became a comic book and a novel, respectively, they are likely going to be turned into either a comic or novel as well. The only problem with that is this: It doesn't take three plus years to make a comic book. It doesn't take three plus years to make a novel from already completed scripts. It just doesn't. So, IF the Ahsoka stories were going to be released as a comic/novel, they were purposely delaying releasing them for some reason. The ONLY reason I could come up with is this: To increase interest in the Ahsoka novel coming this fall. That would make sense. Release these comics/novel to set up and lead into the Ahsoka novel while also boosting interest in it. And when would be the best time to release them to accomplish this? The time when all eyes are on Star Wars and interest is the highest it's going to be before the novel comes out: Celebration 2016. Nothing came out. Instead we got more concept art and were given the premises of the difference arcs. Why weren't they released? Because they're not making a comic or novel. They're making something with a higher budget, that takes longer, and that for some reason can't be completed while the Lucasfilm animation team is focused on Rebels. They're making an animated movie. Now this last piece of evidence might be a little goofy or too conspiracy theory, but here it is. At around the 34 minute mark of the Ahsoka Untold Tales panel from Celebration, when Ashley Eckstein starts getting emotional, Dave Filoni says, "In the movie it's a happy moment." He doesn't say show or episode or script or any other synonym for a television show. He says movie. That strikes as an odd word to get mixed up. I think he mixed it up because it IS from a movie, which I think Filoni is writing/has written and will come out after Rebels finishes. I've always speculated that they're going to start making animated features, just like how Marvel and DC has been doing it. I'll make a bold statement, apart from starring in another animated tv series, I think she will als make her debut in the big screen in the Obi wan Kenobi movie. This would familiarise those casual SW fans that don't follow the clone wars or rebels.